Over 2 million pearls and 23,000 gemstones tested at DANAT. More than 3,400 DANAT authentication and verification reports produced. Launched Pearl, Faceting and Jewellery Design Courses. DANAT collaborates with key individuals, organizations and institutes to globally support the promotion of gemmological excellence in Bahrain. DANAT participates in regional and international trade shows and gemmological conferences. July 2018 marks the one year anniversary of the establishment of the Bahrain Institute for Pearls and Gemstones (DANAT). 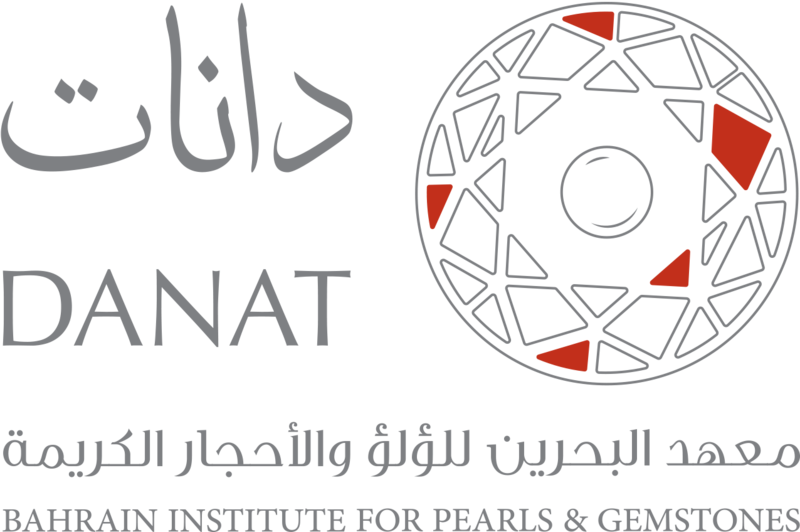 DANAT has made significant progress in establishing itself and the Kingdom of Bahrain as an international hub for gemmological excellence in pearl & gemstone certification, research and education. In its first year, DANAT tested over 2 million pearls and 23,000 gemstones submitted by regional and international clients. It has also produced more than 3,400 authentication and verification reports. The establishment of DANAT’s private bonded warehouse facility, the first of its kind licenced by the Bahrain Ministry of Interior has greatly aided its ability to service international clients. Four Premium Reports, designed for unique pearl, gemstones or jewellery items of significant historical value or interest haves also been produced for local and international clients one of which was for a historical Renaissance period necklace . Market demand for authentication reports led DANAT to expand its report range in its first year to include the ‘Supreme Report’, which was well received by the jewellery community at the Hong Kong Jewellery & Gem Fair where the report was formally launched. 2018 also marked the launch of various gemmological courses. The courses, held in Bahrain and specialising in the study of pearls and gemstones, were attended by participants from Bahrain and abroad. 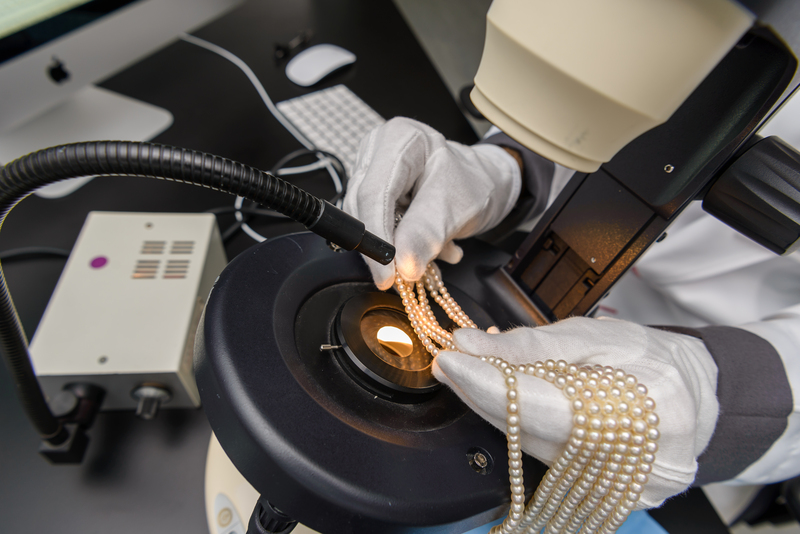 Bahrain now is the only country in the world offering specialised courses on natural pearls which supports the participants to test pearl at a higher standard. DANAT has also collaborated with external well-known organisations such as HRD Antwerp and Gem-A to offer a wider range of courses to meet market demands. In addition, DANAT exhibited at key industry shows namely Jewellery Arabia and the Hong Kong Jewellery & Gem Fair promoting its services and the Kingdom of Bahrain. DANAT’s management were present at other industry shows and conferences as visitors including the 2017 CIBJO Congress, Tuscon Gem, Mineral & Fossil Showcase, International Fair of Amber Jewellery & Gemstones (AMBERIF) and Gem Genève – Gem and Jewellery Show. DANAT also secured a position as Headline Partner for the prestigious and internationally renowned JNA Award 2018. DANAT received numerous official visits from key individuals and organisations related to the jewellery and gemmology industry including representatives from Sotheby’s and Christies auction houses, International Coloured Gemstone Association (ICA), The World Jewellery Confederation (CIBJO), Albion Art as well as University of Bahrain to name just a few. As part of raising awareness of it’s products and services DANAT CEO Kenneth Scarratt held key meetings and visited to gemmological laboratories, institutes and government authorities globally. These have included the Gemmological Institute of India (GII), the Shri Zaveri Mahajan Zeverat & Moti Tolai Charitable Trust (also known as Dharam Kanto), Al Rams Cultured Pearl Farm, the Gemstones and Precious Metal Laboratory Unit in the Dubai Central Laboratory Department of Dubai Municipality and the Directorate of Standards and Methodology in Oman. Reflecting on DANAT’s first year, Chief Executive Officer, Kenneth Scarratt said “DANAT has achieved a phenomenal amount over the last 12 months and I want to personally thank all those who have supported DANAT. DANAT is increasingly known throughout the world for its authentication and education services as well as its gemmological research. The Kingdon of Bahrain is being recognised more and more as a hub for gemmological excellence. The team at DANAT are proud to represent Bahrain in this field and look forward to growing the company and its reputation further’.